Facebook, the world’s social networking leviathan, has overcome 2018’s data breach and the resulting bad press. Is there a surprise there? Not really, maybe, as Mark Zuckerberg’s baby continues to pile up more users. 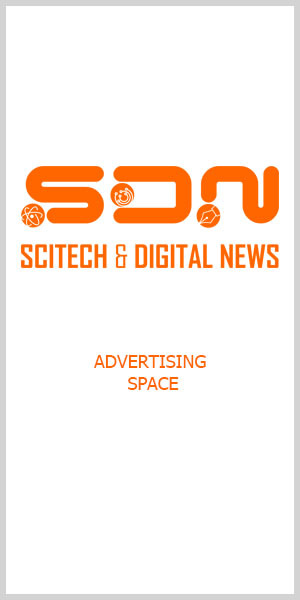 In a message to SDN — Science and Digital News from We Are Social, it was learned that Facebook in the fourth quarter of 2018 (4Q18) had 2.32 billion monthly users, up by 2.2 percent from 3Q18’s 2.27 billion. We Are Social cited a report on the earnings of the social networking site from an article written by Josh Constine of Tech Crunch. “Facebook climbed to 1.52 billion daily active users from 1.49 billion last quarter for a 2 percent growth rate that dwarfed last quarter’s 1.36 percent,” Constine noted. Its users from across the globe pushed Facebook’s earnings to climb to US$16.91 billion and $2.38 GAAP earnings from its share. Constine said the site’s earnings easily surpassed Wall Street’s forecast of $16.39 billion in revenue and $2.18 GAAP earnings per share. Constine also shared Zuckerberg’s “community update and quarterly results” posted on — where else but — Facebook. “We just released our community update and quarterly results,” the Facebook founder said on January 30. “Thanks for being on this journey with us,” he said, appreciating his site’s 2.32 billion users. Facebook founder Mark Zuckerberg courtesy of Fatos Desconhecidos on Facebook. Our community continues to grow and our business delivered good results this quarter. There are now 2.7 billion people using Facebook, Instagram, WhatsApp or Messenger each month, and more than 2 billion people who use at least one of our services every day. On our last call, I talked about our overall strategy as we face some important opportunities and challenges. Today I want to give you an update and talk about our priorities for 2019. For the past couple of years, most of our focus and energy has gone into addressing some of the biggest social issues around the future of the internet — including election integrity, content governance, safety and security, data privacy, and digital well-being. These are all complex issues, but we’ve made real progress. In many of these areas we believe we’ve built the most advanced systems in the world – in many cases more advanced than any other company or government. And in other areas we have clear roadmaps ahead. Still, there’s a lot more to do, and I expect it will take strong execution through 2019 and beyond before we get all our systems to the levels we need. But we’ve fundamentally changed how we run this company. We’ve changed how we build services to focus more on preventing harm. We’ve invested billions of dollars in security, which has affected our profitability. We’ve taken steps that reduced engagement in WhatsApp to stop misinformation, and reduced viral videos in Facebook by more than 50 million hours a day to improve well-being. I want to take a minute to talk about each of these. ​​First, continue making progress on the major social issues. The most important work here is to keep executing our roadmap to build systems that can proactively identify harmful content so we can act on it sooner. We just finished a year of very heavy investment to get these systems to a better place, and we’ve seen the results of that in recent elections, including the US midterms, and in our transparency reports where we report what percent of violating content we identify proactively. We ended 2018 with more than 30,000 people working on safety and security — up from 10,000 people a couple of years ago. This work will never be finished, but I now believe we’ve built some of the most advanced systems in the world for dealing with these issues. However, this raises a broader set of values questions about how to use these systems. One question is about who decides what speech is acceptable and what isn’t. Right now we have a deliberative process of consulting with experts around the world. But I’ve increasingly come to believe that we shouldn’t be making so many of these decisions about content ourselves. In November, I wrote a note on A Blueprint for a System of Content Governance and Enforcement, which includes giving people the ability to appeal our internal content decisions to an independent body. We’re currently working with experts to design this system, and we plan to start piloting it this half. Another important issue is the future of privacy and encryption. People really value the privacy that encrypted messaging brings, and we’ve built the most secure global messaging service in the world. As people increasingly share more privately, we’re working on making more of our products end-to-end encrypted by default, and making more of our products ephemeral so your information doesn’t stick around forever. I’ll discuss this more over the coming quarters. Our second priority for 2019 is that as we make progress on these social issues, we also need to deliver new experiences that meaningfully improve people’s lives. I’m not talking about the many day-to-day iterative improvements we make so that ranking gets a bit better or things get somewhat faster, but major improvements to people’s lives that whole communities recognize and say “wow, we’re all doing something new on Facebook or WhatsApp that we weren’t doing before”. The last experience like this was Stories which continues to grow very quickly – for example, Instagram just passed 500M daily actives on Stories. But the reality is we’ve put most of our energy into security over the past 18 months so that building new experiences wasn’t the priority over that period. In Facebook, the way people experience groups and communities will continue to deepen. We’re going to get to a point soon where people feel like Facebook is about communities as much as it’s about your friends and family — where almost everyone is in a group that is meaningful to them and that community is a central part of their experience. Longer term, I remain very focused on building technology that brings people together in new ways, including through AR and VR. I’m looking forward to Oculus Quest shipping this spring — the feedback there so far has been very positive. And I’ve also been positively surprised that Portal has done even better than I expected it to. I love using it with my own family, but we’d never shipped Facebook-branded hardware before, and a lot of people said this would be a difficult time to start, so I’m pleased that so many people are enjoying this experience of being able to feel closer to the people they care about, even when they’re physically far apart. And what we’ve seen is that the fundamentals of the business remain strong. More than 90 million small businesses now use our products — the vast majority of them for free — and of those we surveyed, half tell us that they’ve been able to grow their businesses and hire more people since joining Facebook. This means they’re using our services to create millions of jobs. This is one of the most important contributions that we feel we can make to the world. To put this in perspective, the US economy added about 2.6 million jobs last year. Right now there’s a lot of negativity about the impact of technology — some of it is fair and some of it is misplaced. And we and the tech industry overall should be scrutinized heavily because we play a role in many people’s lives. My approach here is to listen to the critique first, work on addressing our issues, figure out what we believe are the most important principles to uphold, and then go and engage in the debate. I feel like we’ve come out of 2018 not only having made real progress on important issues, but having a clearer sense of what we believe are the right ways to move forward. We’re still going to make mistakes along the way, but we now have a clearer sense of the path ahead. We’re ready to work with people to understand our role and move towards good outcomes — whether that’s regulation on content or data, cooperation on shared threats, working openly to make sure AI best serves people, or just standing up for the kind of open and connected world that we all want to see. Facebook image on keyboard from Pixabay.